Our team has been overwhelmed with the response on our move to our new studio! We want to keep you involved in our moving process and share some of the progress as we transition to our new studio. Many of you have also been curious on what updates we are planning for the Rosedale bungalow. We first plan to add a fresh coat of paint to the space and renovate some of the main spaces like bathrooms and the kitchen area. For a glimpse into our new studio, this week we will share the color scheme and paint plan with you. We think you will enjoy our chic and serene palette of neutrals, blues, greens, and grays. 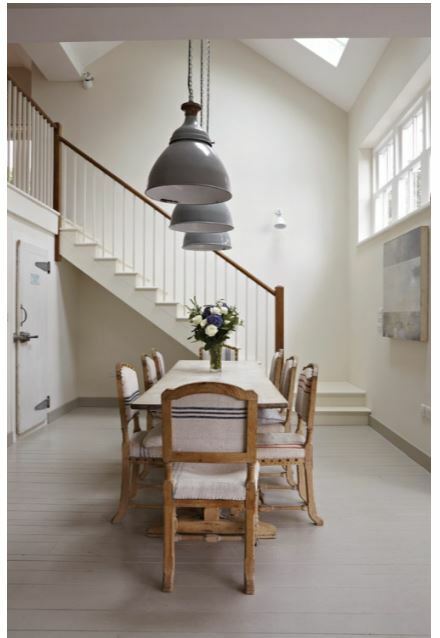 All of the paint is based from Farrow & Ball, a UK based paint and wallpaper company known for its highly pigmented paint with a stunning finish. We have not started painting just yet, so we have included photos of these paints in projects so you can fully appreciate and envision our future color scheme. The front door to our studio will be painted in Farrow & Ball Green Blue. It is a lovely hue that changes throughout the day depending on the light. Sometimes it will lean a little blue or more green, either way we love it! First impressions are important and this fresh, happy color will allow our new front door to give the perfect inviting welcome. The other exterior doors will be painted in Farrow & Ball Pitch Black. This pure black color has depth and a velvety quality that make it a classic. 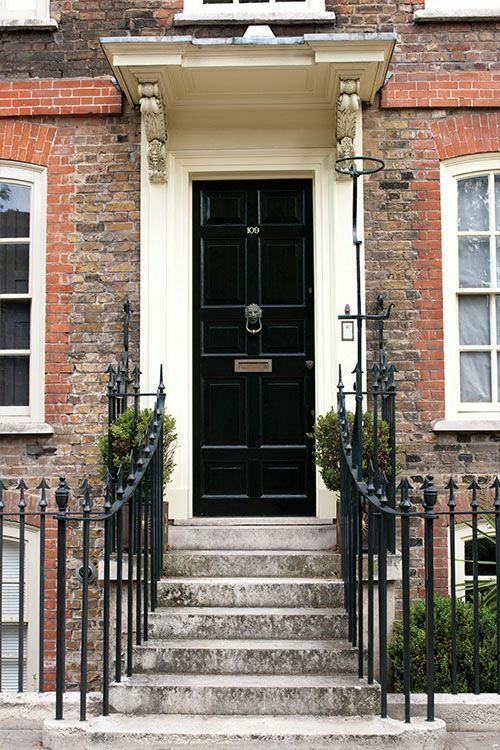 Black doors are a timeless choice for traditional homes. Perfect for our bungalow! 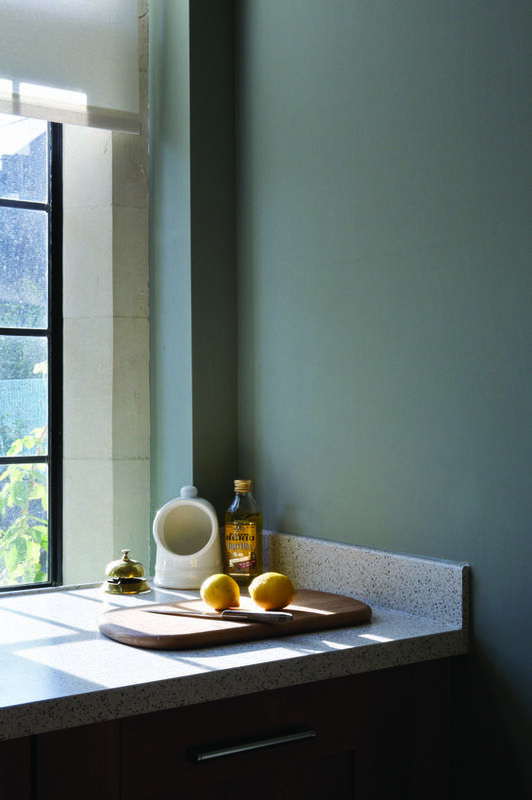 Described as a ‘warm and delicate white’, the best-selling Farrow & Ball Pointing will grace the interiors walls and trim of our new office bungalow. It has warm undertones and plays well with nearly every color. Pointing’s warm tones also allow it to pair effortlessly with the architecture of the older home. This chalky off-white color of Farrow & Ball Slipper Satin takes its name from the delicate color of traditional silk ballet slippers. In the next few weeks we will show you more of the selections for the renovated bathroom. 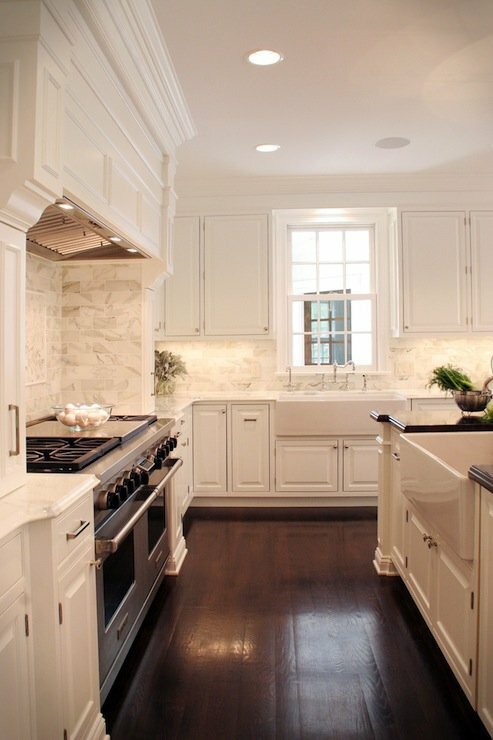 They will really pop against this soft, neutral paint color. A dark, smoky green will add a fun pop of color to our lobby bathroom. 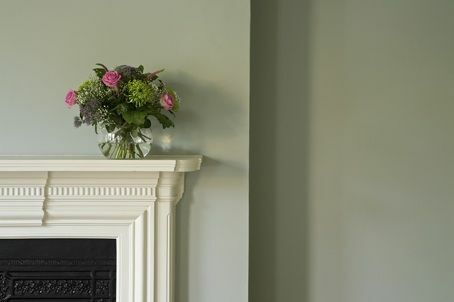 Farrow & Ball Green Smoke is a rich blue green with exquisite depth. 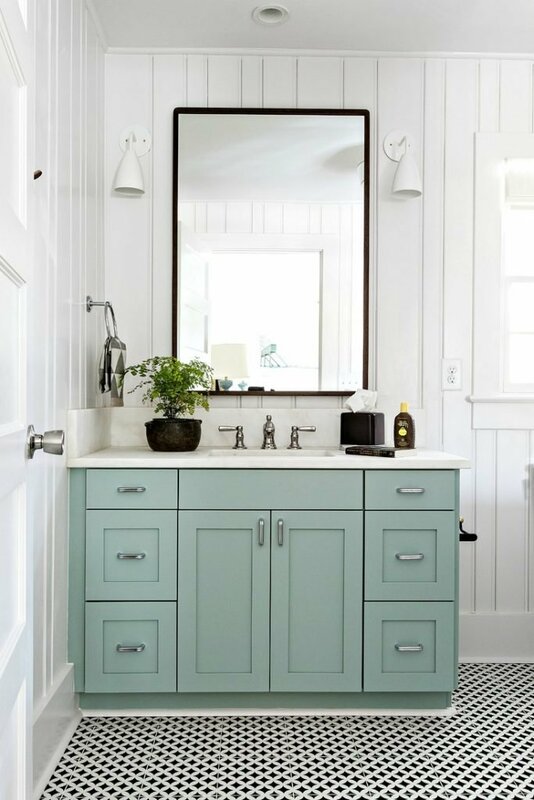 The fixtures and accessories for this bathroom will make this color look even more rich and bold. Lastly, we are painting our kitchen cabinets in Farrow & Ball Blue Gray. It is a cool blue gray and described as more cool than a French Gray. It has the same endearing quality as the hue shifts between soft blue and gray depending on the time of day and light. It will give a breath of fresh air to our breakroom. 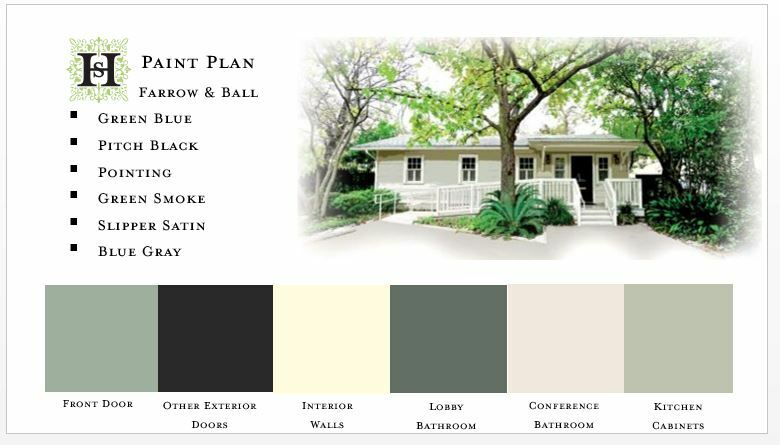 Our color scheme and paint selections will give our quaint bungalow a refresh, while also staying true to its historic roots. When the paint is complete we will share some progress photos with you. We are just as eager to see it!